Network stability and high levels of network productivity are the preconditions necessary for achieving economic success in the operation of all networks. The aim in so doing is to guarantee a high level of resilience against network outages, and if outages do occur, to ensure a quick detection and rapid troubleshooting process. In its position as a global market leader in fiber-optic connection technologies, DIAMOND has developed a new network monitoring system which is based on Fiber Bragg Grating (FBG) technology. 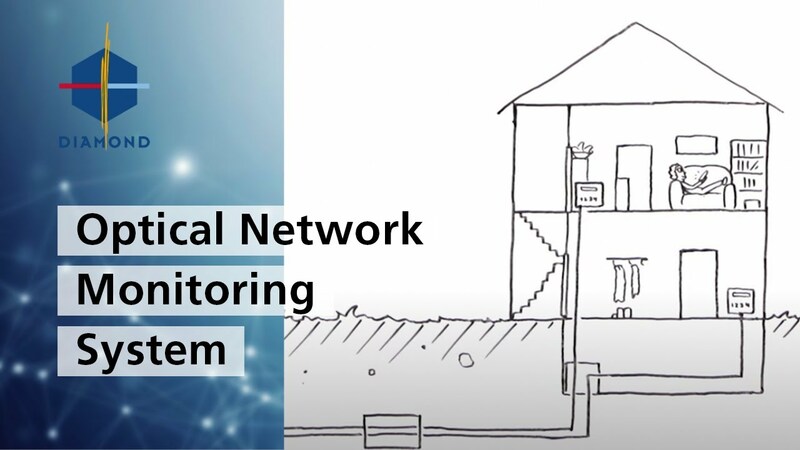 In a P2P network installation, this technology is used to identify each fiber line and manage the Optical Line Identification OLID information through a data base owned by the network operator. The FBG components can be integrated into the fiber-optic line at any point between the Central Office (CO) and the Optical Termination Outlet (OTO), as a wide range of codes are permitted. A sequence of Bragg Gratings can be used as an optical line filter in order to provide a unique (OLID) code. Fast search and identification process for installation errors and outages. Queries and evaluations take place by means of an interrogator. The FBG network is integrated in traditional components in a simple and cost-efficient manner with minimum space requirements. FBGs can be used directly in SOC as well as in pigtails/patch cables without any additional space Required. Allows a unique address to be assigned to each client. Flexible coding in networks thanks to a wide range of wavelengths. Fewer accesses to private premises required.